I love this book. I'm so sorry I waited so long to start the series. Shortest blurb ever: Claire Randall is a field nurse in WWII. She's flung back in time to 18th century Scotland, ends up marrying the super-AWESOME Jamie Fraser for her safety, and all hell breaks loose. And there is a VERY BAD ENGLISHMAN afoot. See above: hell breaks loose. There are some books that are a pure experience. One of the reasons I completely ignored Outlander before now is because 1) it's huge 2) I thought the time travel would be cheesy. Nothing could be further from the truth. First off, I am supremely glad that Gabaldon set the beginning of this book in the 1940s. If it'd been the 1990s (when the book was published), it would've aged the book much more. Historical-on-historical was much more effective. She did a darn fine job of painting a historical portrait. I cleave to books that can pick me up out of my everyday life and set me down in another time and place. Some of my all-time fave historical novels (Pope Joan, The Red Tent) are memorable and worthy of gushing over because they immerse. I love knowing what the characters eat, how they dress, what the setting and weather are like, how badly they stink from lack of indoor plumbing (ahem!). Anyway, yes, details are important to me -- especially when they add to the magic of a story and don't bog it down. The characters here are so great. While I had a problem with Matthew and Diana for their mutual co-dependence in my previous read, A Discovery of Witches, I felt quite wonderfully the opposite about Claire and Jamie. These two are spitfires! Jamie is a rough and tumble Highlander, quick with a blade, potential bull in a China closet. BUT, he's also quite soft-hearted, well-mannered, and educated. It was so much fun getting to know him. Likewise, I loved Claire, the female protagonist in the story. 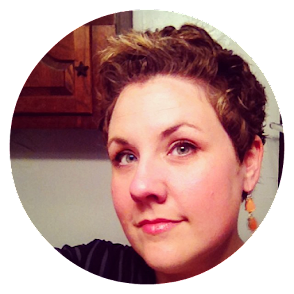 She's a heck of a character-- able in her healing, quick-witted, and sharp-tongued. She and Jamie go toe to toe on several occasions and I loved the hard-headed, passionate dynamic between these two. I've said in previous posts here that I rarely jump into a second book by an author. Not the case with Outlander. It was one of those books that so thoroughly compelled me that I wanted to either turn back to the beginning and re-read it right away or jump into the second book. I decided to jump into the second, and I hope to polish off Dragonfly in Amber this week. Y'all also know I'm somewhat terrified of the commitment that comes along with reading chunky books. Not this one. So so so so so good. All-time favorites list good. Take that! So glad you loved it! I first read Outlander (first, because I read it many times after) in 1992 so I feel like I own the characters. It makes me so happy to see someone else discover it! Chris, you lucky duck! I am envious that you jumped on the Outlander series so close to publication. On the other hand, I don't think I could stand having to wait for the next book to come out!!! Well! All-time favorites list is good enough for me, that's for sure. I had a friend at work who absolutely loved this series, and she sung its praises to me all the time. When she unexpectedly died a few years back, I promised myself I would start the series in her honor... but I've been completely negligent. Thanks for the push in the rear to get started again! YAY! This is one of my favorite series, but be careful, because they are addictive! So, so glad that you loved this one. Much strangeness is afoot in the coming books, but it's great if you just go with it. Going to be smiling all day now that I've read this review! Heather, NO KIDDING!!! I'm completely obsessed with the series now. I said I was going to take a break after DRAGONFLY IN AMBER but everyone tells me the cliffhanger will compel me to jump right into VOYAGER. Somehow, I think that might be true! I so so so want to read this series BUT it IS a huge time commitment. I've thought about just listening to them but you can't cuddle with an audiobook. ;) How many are there all together? And is there a definite ending? (looking at you Ms. Evanovich...). Trish, there are 8 books total of the OUTLANDER series. There are also some books Gabaldon labels the LORD JOHN GREY novels, though as I understand some people take these to be a spinoff (and Gabaldon says they're a part of the series). 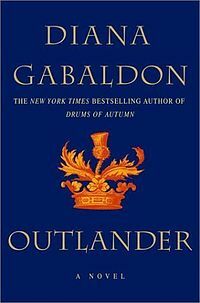 The 8th book in the OUTLANDER series is scheduled to publish in 2013. I heard so much about the swoon-worthy Jamie that I checked this out from the library a few months ago. I only made it about 50 pages before giving up. Maybe I should have stuck with it a little longer. I have also avoided this series for the same two reasons. I even own this one on my Kindle. I will definitely be trying to make time for this one! Carrie, it's great for when you want to have a good ole-fashioned romp with a book. It reminds me a bit of when I was a kid and would spend hours on my grandparents' couch not seeing a bit of the day pass by because my nose was so thoroughly buried in the book. It is totally immersive and consumable. Thanks, Sam! As I was telling Carrie above, it's just a great adventure!!! Fun fun fun. With sexytimes included (if that bothers you, beware!). I read the first two books -and a bit of the third- years ago and quite liked them, but not nearly as much as you do. Strangely enough I lost interest and never finished no. 3. Don't they say that the series is sort of deteriorating and Jamie becomes quite an unlikable character? Not sure why, but all that stopped me from continuing. I'll be looking forward to reading what you will say about the next books. Rikki, I'll be super pissed if Jamie becomes an unlikable character. If I find that that's happening too much for my taste I will go into readerly denial, toss the rest of the books, and simply re-read #1 for the rest of my life. We will see. Waiting for your reviews, :)! Oh my gosh, I never thought about reading this before but you have convinced me - I am actually excited about it! And I read your previous post and for what it is worth Evangeline hasn't had an ear infection since getting tubes. She was only 11 months old when she got them but they literally transformed her - I am so thankful for them!! Yea yea yea!!! So glad you liked this one. My bff turned me onto them, and like you, I absolutely could not stop reading them. The dynamic between C&J is so different from D&M. Matthew still wants control over Diana, whereas Jamie quickly realizes that's not completely possible with Clare. SOOOO very different in their dynamic. And you're spot on about Jamie. He's no dolt! I grabbed this book at a book exchange a couple of years ago because I'd heard such good things about it. I really should just get around to reading it despite its length. Anna, I wish I hadn't waited so long to read it. I hope you have good luck with it when you take the plunge. It's really a very quick read. I have read all of them, and I have them from Audible, for dentist visits, spring cleaning and long road trips. I used then when I was in grad school as motivation to finish big projects. Sara Donati's series lacks the passion, but is a good follow-up for the inevitable withdrawal you will suffer with the end of the final book. Happy reading! Ev, it's good to meet someone with a passion for OUTLANDER! Would you say that you liked the series as a whole or did it "jump the shark" at some point?? Will check out Donati's series, for sure. Every few months I read another review praising this series. I picked up a copy of Outlander at least a decade ago (that sounds so long) at a library sale and the poor thing is still sitting on my shelf. This is exactly the kind of book I would love. I should stop thinking about the 900 page length and just dive in. Leslie, I hope you get around to it soon! If you love it, we can gush together. lol Don't worry about the 900 pages -- it absolutely FLIES by! Why haven't I read this series yet? I am a time travel nut. I think the length frightens me. But I will read this book this year, I swear it. I read the first one a few years ago and really enjoyed it, but never went on in the series. My mother got me reading it, she read most of the series and loved it. I just picked it up recently to reread it and see if I still enjoy it as much. I enjoyed your review of it, Andi! It's always wonderful when a chunkster is good enough to love, isn't it? The second book is going well. A very different tone overall, but things are starting to pick up and I'm looking forward to seeing how this one pans out. I think I've already told you I loved Outlander but hated the ending and never continued. I did try, after a few years, but Dragonfly in Amber didn't grab me. I'm so stunned you haven't read this series sooner, especially given the fact that Heather is such a big influence on your reading life. Now you can talk Jamie till the cows come home. Fun! What did you hate about the ending, Nancyroo? Was it the cliffhangerness (not really a cliffhanger, but obviously teasing into the second book)? The second book starts quite slow and I'm on pg 350 and it's still a little slow but starting to gain a lot of scary momentum. Looking forward to seeing where it goes from here. It was the cruelty of the bad guy. It was just a bit too much for me. You wouldn't think it would be enough to keep me from reading on, since the rest of the book was such an incredible experience, but it just did me in. I had nightmares for days. I am still tempted to give Dragonfly in Amber another go, though. Outlander was such a rare treat. I'm not a chunkster reader, ya know, but I read 100 pages one day, about 200 the next and then locked myself into the bedroom to finish. If anyone knocked on the door, I don't recall. I was BURIED in that book. "Immersive" indeed. You are chipping away at my resistance! It's really that engrossing. Good to know. 700 pages? Oh, geez, I didn't realize it was THAT long! I'm going to trust you, Andi. If it's really as good as you say, I'll just ignore the length and dive in! I'm always happy whenever this series finds a new fan! This series has been on my list for several years now. I even have the first in the series on my shelves, just waiting and waiting to be read. I'm glad you enjoyed it so much and look forward to reading it myself. I just finished this last night. I now am talking in a Scottish accent and calling my little dog a 'wee bonny lassie'. Sheesh.